A great show for the whole family but a show that will captivate your little ones! Direct from its success in London’s West End, a sold-out UK tour and standing ovations at every performance, The Simon & Garfunkel Story is back! All the information you need regarding Redditch Has Talent auditions! 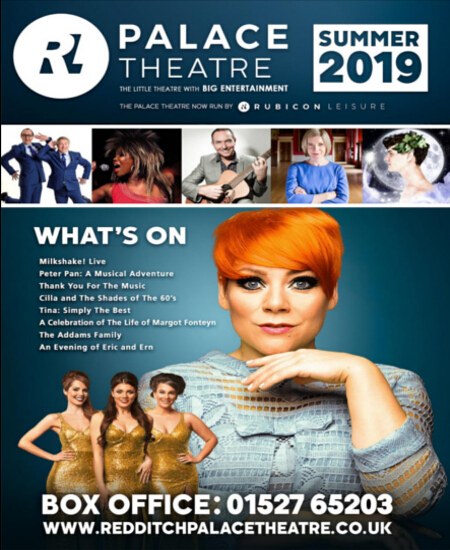 The Theatre is perfect for live music, drama, dance and comedy shows and is available for hire to professional and amateur companies and includes professional technical support, front of house operation, licensed bar and box office service. For live shows the theatre is programmed around 9 to 18 months in advance. We can also be your venue for Meetings, Conferences, Corporate Events, Award Ceremonies and much more. Would you like to become part of the Palace’s highly committed team of Volunteers? Please note that our work generally involves evenings/weekends and during the pantomime run morning sessions.